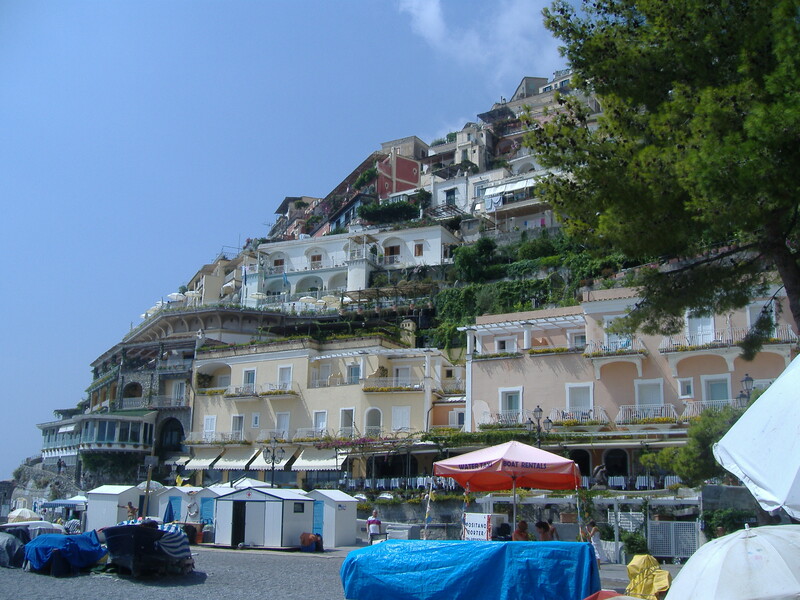 While we were staying in Praiano, we took the shuttle bus in to Positano several times. Sometimes for shopping, once was late in the evening for a drink, and then of course a few times for lunch and dinner. 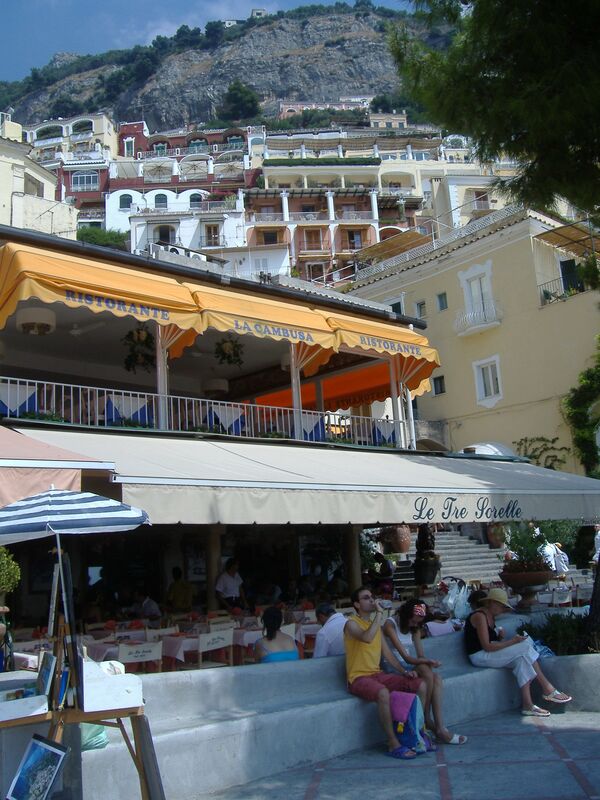 Positano is a gorgeous town on the Amalfi coast. It is on the side of a hill and winds down to its beaches. It is a very popular tourist attraction. We were there in August which was fabulous but very busy. If possible I would suggest visiting this lovely area in Spring. The weather is still perfect however there are not as many people there. 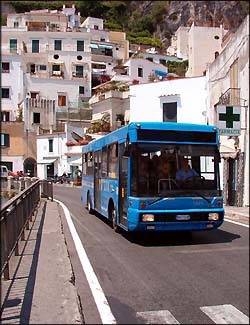 You can get to Positano by bus, car or ferry. 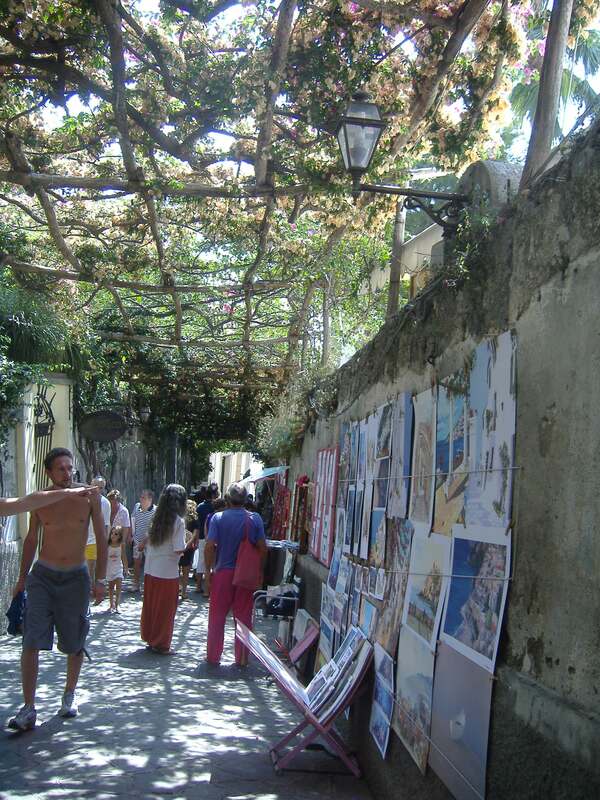 We took the train from Rome to Sorrento and then took the Sita bus to the Amalfi coast. The buses were all packed but if you can, sit on the right hand side of the bus as you will see amazing views on the ride to the Amalfi. The bus will drop you at the top of the town and then you will need to walk, take a taxi or the local shuttle bus to your accommodation. We were met at the bus by the man we rented the house from. In summer the buses are so crowded and not always possible to get on to. Of course you can drive to the Amalfi coast or you can even take the ferry from Naples. 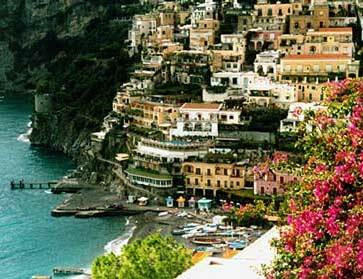 It is easy to spend many lazy hours in this beautiful town, lazing in the sun or shopping in any of Positano’s lovely boutiques and shops. 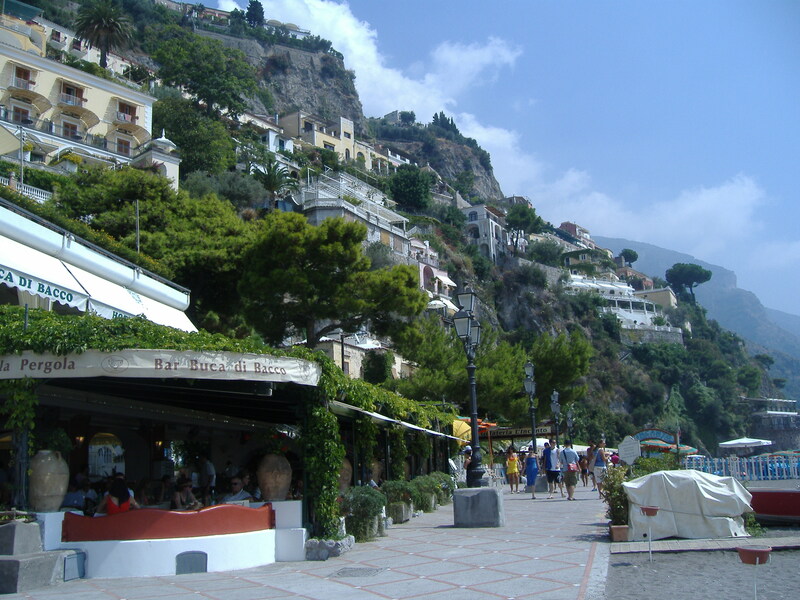 There is an abundance of restaurants and bars and if you feel like exploring you can take one of the paths leading to the little mountain districts above Positano. 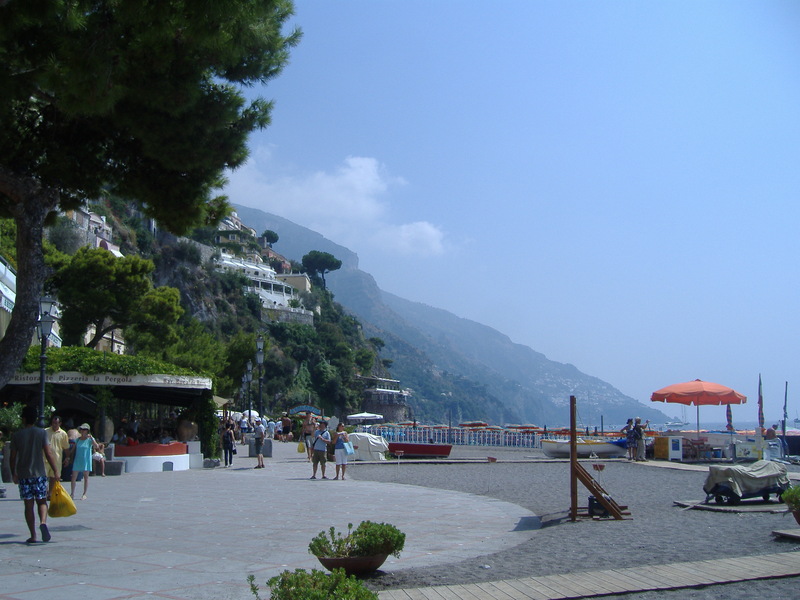 Positano has two main beaches, Spiaggia Grande which is the main beach and Fornillo which is smaller and more secluded. 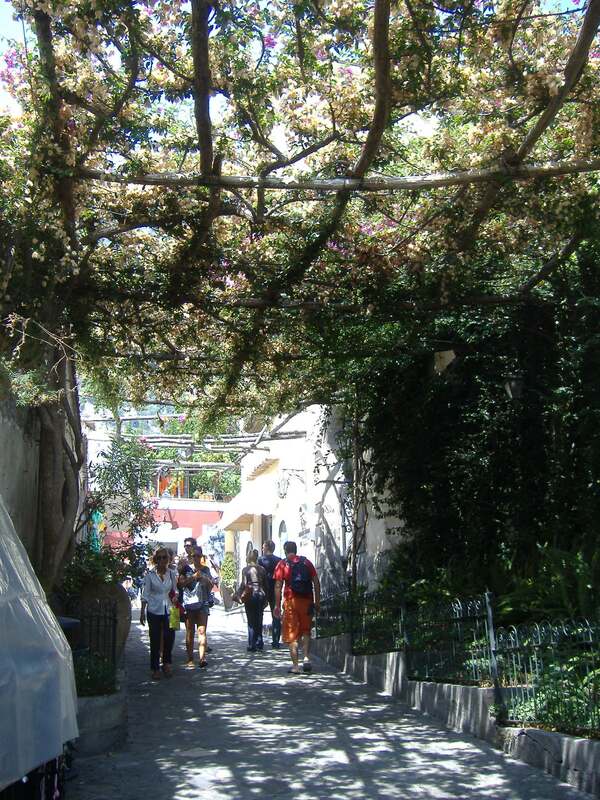 In Positano you can do as much or as little as you want. It can most definitely offer a perfect holiday. Reading your comments Lyn was like being there again. I endorse everything you’ve said. Our hotel had 104 steps to the road so be prepared for exercise. The hotel we stayed in for 6 nights was pink and named Conca Dora and the views from the balcony were breathtaking. Put Positano on your list of a must visit. A perfect place to relax and reflect on your trip through Italy. Thanks Lyn! Really beautiful post! It looks just beautiful, another place I want to visit and explore. Of course one should ALWAYS proofread: illiteration! …not to mention: inspire! God, it’s been a long day. That’s my excuse anyway! While trying to get to sleep last night, I realized I still hadn’t fixed my misspelling. Let’s try: alliteration Which just proves anyone can be illiterate. 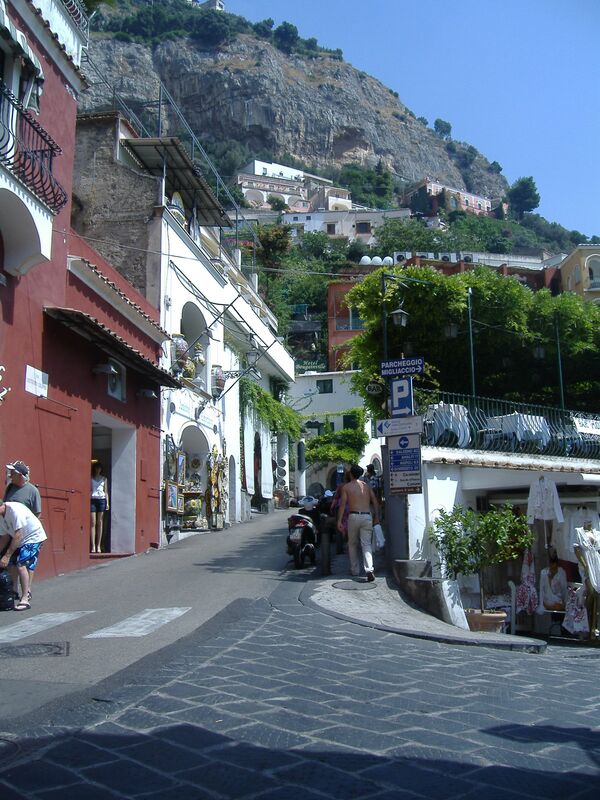 I absolutely love the Amalfi coast and was sad we were only speniding one night there but plan to go back longer. I bought the most beautiful purple jeweled sandals in Positano and paid a lot but don’t regret it! Your photos are beautiful and your content is informative. Thanks for sharing. Thanks for reading my post on Positano. The Amalfi coast is where dreams are made. It is one of the most glorious places in the world. Enjoy those purple sandals, I know I would.